Please be aware that our Preschool is at or near capacity for 2019. It is essential to enquire through our front office or Preschool to establish if vacancies exist. If no vacancies exist you will be redirected to the nearest Preschool that can accommodate your child's enrolment. 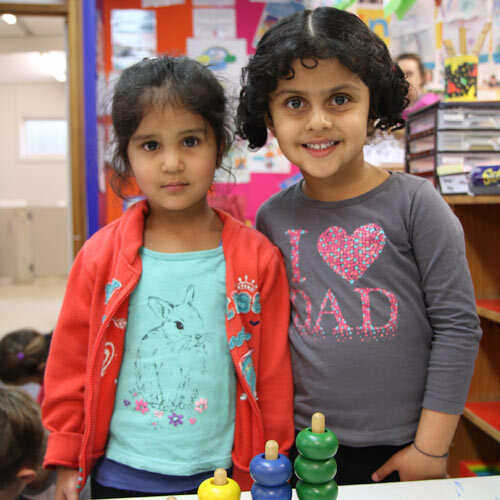 By submitting these documents you will be placed on our Enrolment Register and you will receive formal notification as to whether or not your child can be enrolled at Goodwood Primary Preschool closer to their starting date or transition program. Please phone the Preschool on 8373 2586 to obtain an enrolment form. The pre-entry program is negotiated in term 3 and 4 depending on availability of spaces. Children who turn 4 before May 1st of any given year can enrol to start Preschool at the beginning of that year. Children attend two full days of preschool per week from 8:30 AM to 3:15 PM and one half day every second Friday morning from 8:30 AM to 11:30 AM. Group one children attend Mondays, Wednesdays and odd weeks on a Friday mornings (eg weeks 1,3,5,7,9). Group 2 children attend Tuesdays and Thursdays and every even week Friday morning (ie week 2,4,6,8). The Government provides an "Operating Grant" which is budgeted to provide equipment for all areas of the curriculum. An invoice will be placed in your child's "pocket" each term. In 2018 Preschool Fees are $190 per term.